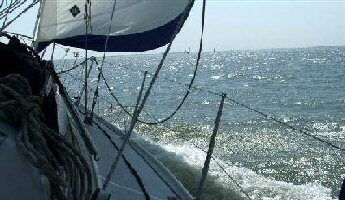 Wrap up and enjoy some winter sailing with the Crouch Sailing School. These one and two-day courses can count towards RYA certification and International Certificate of Competence (ICC). We get some great winter sailing days so why wait? 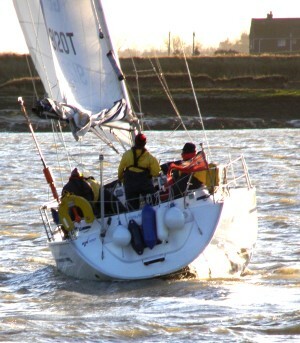 Weekdays from 10am until 4pm sailing from Burnham Yacht Harbour in the rivers Crouch and Roach. £125 per person including hot lunch, refreshments and wind-proof wet weather gear. £230 per person including hot lunch, refreshments and wind-proof wet weather gear. The winter months are an ideal time to log some night hours, which are an essential part of your training, particularly for students working towards Coastal Skipper or Yachtmaster. During Autumn and Winter, we run special weekend courses with this in mind. These willl typically leave Burnham Yacht Harbour on Saturday afternoons and arrive in Harwich in the early hours of Sunday morning, clocking up at least 8 night hours during the trip. 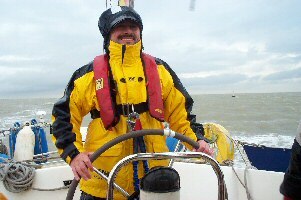 Harwich is a major port and arriving there at night offers a real challenge for all levels of student skipper. Last but not least, we also run shore-based courses from November to February and also have other special winter cruises and racing events. Enjoy sailing? Why not also try a Ski Holiday in Borovets our favourite ski resort.